Reissue features SHM-CD format and the latest digital remastering (24bit 192kHz). 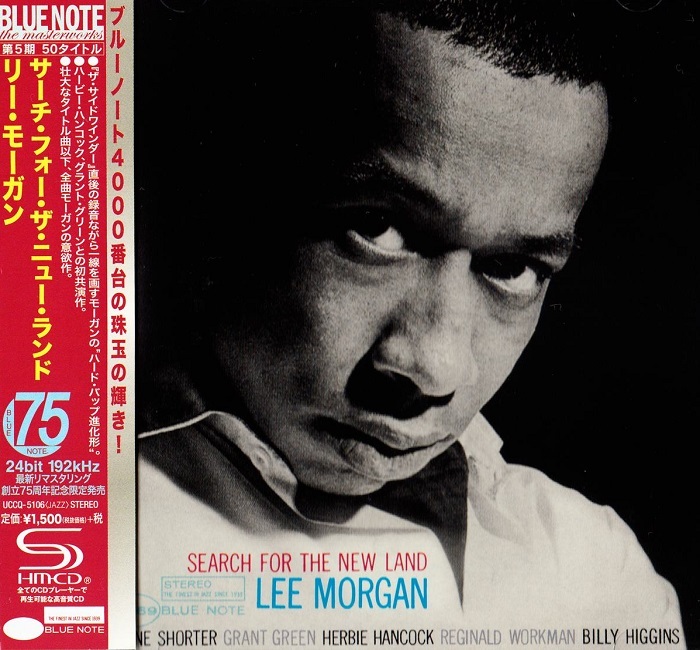 A brilliant album that proves that even at the height of his success, Lee Morgan was one of the freest thinkers on Blue Note – always coming up with fresh ideas that continued to grow his talents! 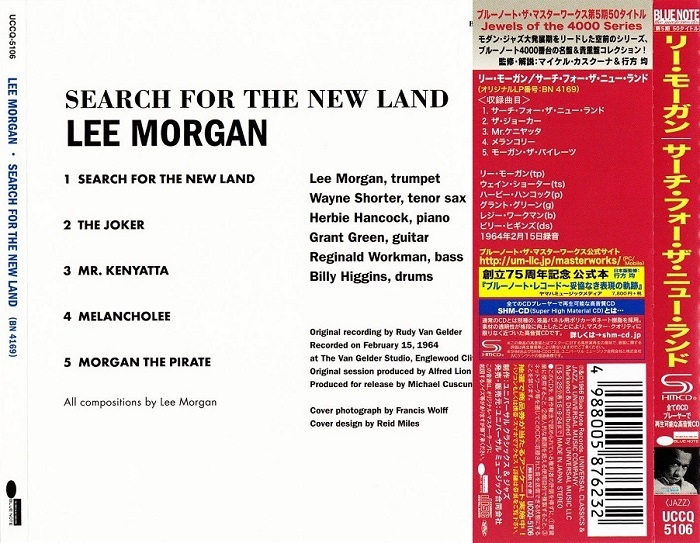 The first cut on the album is keep roof of that fact – the title track "Search For The New Land" – a beautiful 16 minute exploration of modal jazz themes, with an unusual stop/start device as a means of ushering solos by different bandmates – including Wayne Shorter on tenor, Grant Green on guitar, and Herbie Hancock on piano! Ну правда, где Mr. Kenyatta?